Join Murray Grainger for a programme of accordion music including Mozart, scottish and english folk. 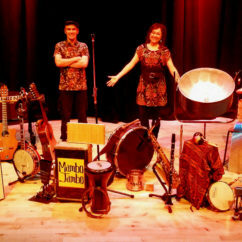 With bubbles, percussion and props this is an ideal concert for little ones and their grown-ups. Murray is one of Britain’s most influential and innovative accordionists. 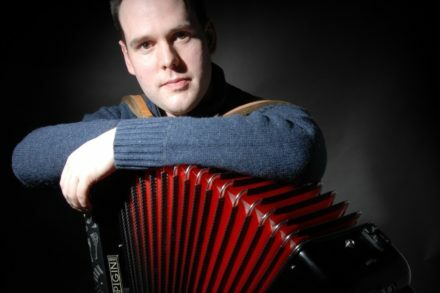 Whether working with the finest orchestras, pushing the boundaries with his traditional projects or teaching around the UK, Murray is at the forefront of the British accordion scene. Trained in the classical accordion at The Royal Academy of Music, Murray has been a tutor in both classical and folk accordion at Chetham’s School of Music, on Newcastle University’s Folk and Traditional Music course, and as the Director of Education for Young Musicians Stornoway. 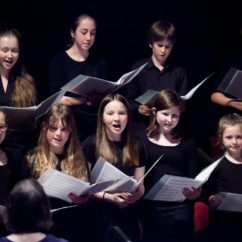 Children free/ adults £6.50/ 2 adult offer £11 (in advance - booking fees apply) and £7.50 per adult (on the door - if any tickets are left). When booking your ticket, please state the number of free children's spaces too. Pre-sales end at 6pm the evening before. Most concerts sell out before the day so do check the Facebook Concerteenies page or email pollyjives@hotmail.com. *** Please note this session is specifically for up to 1 year olds/ non-movers. - Main pub doors open at 10.15am, Backroom doors open at 11.30. - You are responsible for the safety of your own babies and belongings. - Buggies can be left in the main bar and we encourage you to put coats and bags on the stage area. - There is nappy changing facilities and feel free to breastfeed.